Legendary rock and roll star Gene Simmons delivering the keynote speech at the New Green Frontier conference in Downtown Toronto on Nov. 19, 2018. Narrowing down on best-practice methods and expanding reach – this was the focus at New Green Frontier, a cannabis investor conference held in Downtown Toronto on Monday. With more than 350 in attendance, the event featured speakers from virtually every aspect of the cannabis marketplace, from producers and extractors to cannabis-infused cosmetics and beverage companies. And headlining the event was rock star Gene Simmons. Up first was FSD Pharma founder Anthony Durkacz. "I think if you're only focused on the recreational market in Canada, I think that's a mistake," he told the crowd. His company plans on selling high-quality, consistent medical cannabis and is focused on becoming the largest indoor supplier of medical cannabis globally. FSD Pharma, situated inside the former Kraft plant in Cobourg, Ont., is one of the world's three largest cannabis companies that started by acquiring former food facilities. The other two are Aphria and Canopy Growth in the former Heinz and Hershey’s facilities, respectively. The day's first panel was about growing technologies and innovation. "There are a number of people trying different methodologies. The most important thing is do what you're doing well," said Ontario-based Up Cannabis COO Kevin Epp. "I don't think we know what the best way [to grow] is yet." "I think tried and true is really important from an investment perspective," added Relief Effects Inc. president Lawrence Hourihan. "If you are an extractor, you certainly have to be creative and you have to be nimble to produce products that the market wants," Connors noted. There is some debate on whether Big Pharma will be interested in this market. "There's opposing views – I'm not sure anybody really knows," said Cannivate president Ingo Mueller. "The evolution of technology in this industry is going to be essential," RMMI’s Connors noted. Connors talked about his company's strategy that includes aeroponics cultivation for precise monitoring and control to maximize quality and yields. Canna-V-Cell Sciences Inc. CEO Dr. Zaki Rakib emphasized the need for revolution in cannabis. "We are in the hyper-growth of an area that is extremely exciting," he said. Cannabis distribution rules vary across Canadian municipalities, Barbara Miller, partner at law firm Fasken, said there's an even split right now between government-run and private retail stores. 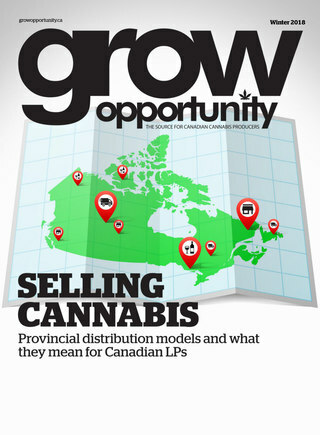 LPs in Ontario need to restructure their operations right now, Miller said, adding that the model is arbitrary right now for LPs across the country. In terms of privately investing in cannabis companies, CannaIncome Fund CEO Arthur Kwan said, "Navigating the private investment world is different, but a lot more rewarding." Kwan said his company is less focused on pure cultivators right now, adding that it's difficult to compete with the larger companies. Gravitas Securities CEO Robert Carbanaro said dispensaries are going to have to understand who their consumers are and cater accordingly. On the topic of edibles, lawyer Miller noted, "When edibles are permitted, it will be interesting to see where they will be permitted to be sold." Adding that regulations need to be clearly enforced due to unknowns surrounding consumption. Doreen McMorran is the co-founder of Ovation Science – a skincare research and development company that has developed topical and transdermal cannabis product formulations. She said Ovation Science products are game changers in the infused cannabis marketplace because they release more THC and CBD to the skin. Gene Simmons rocked the podium as the day’s keynote speaker. Besides being known for band Kiss, he's also the Chief Evangelist Officer of White Rock, B.C.-based Invictus MD. Simmons said his belief in cannabis’ ability to cure a variety of ailments is what peaked his interest in the industry. “One might give you cancer, the other one might make you beat up your wife, this one will make you smile and eat Kit Kats all day,” Simmons said commenting on the effects of cigarettes, drinking and marijuana, respectively. “I’m not fond of spinach, but I don’t think it should be banned. It should be on the choice menus of life,” Simmons said on the use of marijuana. “Scientists and researchers are telling us this is an enormous advancement and big pharmaceutical companies don’t want you to get educated. They want to charge you as much as $7,500 for one pill. That’s not an exaggeration,” he said. Invictus MD CEO and director George E. Kveton spoke about the company's vision to be differentiated through innovation and its vertically integrated business model. Kveton noted the company’s even gender split as a point of pride. Women in cannabis took over the stage in the (at-times visibly tense) second half of the afternoon to lay down what women are bringing to the market in powerful roles. "The best advice a mentor has ever given me is trust your instincts," said The Marijuana Show co-founder Karen Paull. "It's easy to unwind a deal but it's not easy to unwind a partnership, so you want to make sure you have the right people,” added Quadron Corp. CEO Rosy Mondin. The ladies also discussed where the focus should be regarding brands and trends. Around 65 per cent of Canadian buyers are women and the wellness category speaks strongly to women, said TerrAscend vice-president of business strategy Robyn Rabinovich. "I think we're starting to see a turn to focus more and more on brands," she added. "Personally, I want our Canadian brands to evolve before we start bringing in American brands," Mondin said. "One of the biggest trends for us is globalization... Health Canada has set us up to be global leaders," said Eve & Co. CEO Melinda Rombouts. Rombouts also discussed Eve & Co.’s growth as a female-focused cannabis brand. As a female-founded and female-led licensed producer, Rombouts says the goal is to change the story of cannabis for women. Follow us on Twitter @GrowOpportunity to see Grow Opportunity’s live coverage from the event.